College “adulting” is this weird stage of not being a kid anymore, but still not being fully recognized by other adults as an adult. I generally refer to myself as a big kid or young adult because I don’t really feel like either. Trust me, you’ll understand soon if you don’t already. 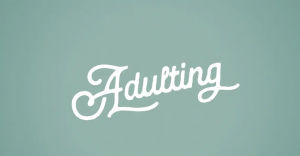 I’ve been doing the “adulting” thing for three years now, so I can give you a few of my best tips to hopefully give you a little one-up on the rest of the incoming freshmen. I wish I could give you more, but here are five because I can’t give away all my best secrets. College is busy. You’ll be trying to balance 4-5 classes, work and social life, so get a planner and ACTUALLY USE IT. Keep yourself organized so you don’t miss deadlines or overbook yourself. Create a routine for yourself and stick to it. Keep a packet of tissues in your backpack. You won’t find a tissue box in any classroom on campus. Also carry band-aids because you WILL get blisters walking to class. Buy used books or rent them on Amazon. Used books will have notes scribbled in them which helps extremely if you don’t actually intend on doing the reading. Sit in the front of the class. You’ll focus more, retain information and your professor will likely recognize you and remember you while grading. Take all the free things: t-shirts, pens, pizza. That’s where your tuition money is going. I hope these tips help you as much as they have helped me. Best of luck to you!